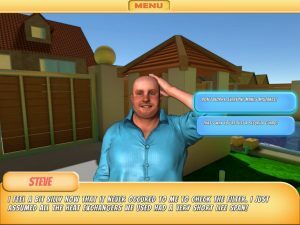 In this game you play as a young lad who just got a dream job of being a personal assistant to a famous and beautiful movie star called Shaqeera Cruz. The main protagonist starts his three week probation period at Shaqeera’s mansion during which he won’t just be carrying out the tasks she gives him but also interacting with her and the other helpers employed in her mansion which include her maid Polly and security guard Steve. There will also be more NPCs visiting the mansion as you progress through the game. ?